Everything we do as a business is built on the enthusiasm and professionalism of the people in our team roles. So if you have a passion for putting smiles on people's faces, this is the job for you. Don't worry if you haven’t had lots of experience, we'll give you all the training you need. <br><br>WHAT YOU’LL DO IN THIS ROLE:<br><br>Ensure each and every one of our guests have a great service experience<br>Greet and seat guests, managing table allocation and dealing with telephone enquiries<br>You’ll work with the team on shift to create a friendly, buzzing atmosphere for our guests to enjoy<br>You’ll ensure the highest standards of cleanliness and safety<br><br>WHAT WE LOOK FOR IN OUR RESTAURANT HOSTS:<br><br>A passion for excellent guest service<br>Enjoys engaging with new people<br>Enjoys and wants to be an active member of a team<br>Taking PRIDE in maintaining highest standards of cleanliness and safety<br>The ability to work calmly and effectively under pressure <br>Skilled in organising and planning<br>A great eye for detail<br><br>ABOUT US<br>From the moment our guests walk through the door, only the best will do. The best ingredients, the most mouth-watering food, truly exceptional levels of service from a team that loves to make every visit an occasion to savor. 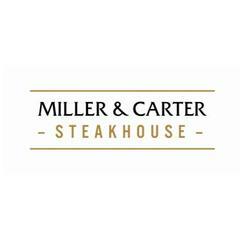 If you take pride in being outstanding; if you’re dedicated to learning every day; and if you want to progress within a growing restaurant concept, you’ll love a career with Miller & Carter.<br><br>WHAT WE CAN OFFER YOU: <br><br>We can offer you a personalised induction based on your current skills and knowledge, then set you some tailored goals within our S.T.A.R. development programme. This will help you progress to the next level, and beyond. Besides this you will have the opportunity to develop your career to some of our other excellent brands in Mitchells & Butlers. <br><br>33% off in ALL our businesses for you and up to 5 friends <br>Tailored industry training <br>Pension<br>Option to opt in for some of our share schemes (e.g. Free Shares Plan) <br>Shopping discounts with many UK leading retailers <br>Discounts on shoes for work <br>Flexible shifts <br>Up to 28 days holiday <br>Chance to earn extra money with our Referral Scheme <br><br>Oh, and you’ll have a whole heap of fun!